If you've ever debated what movie to get with me you'd know that I'm not a scary or horror movie type person. 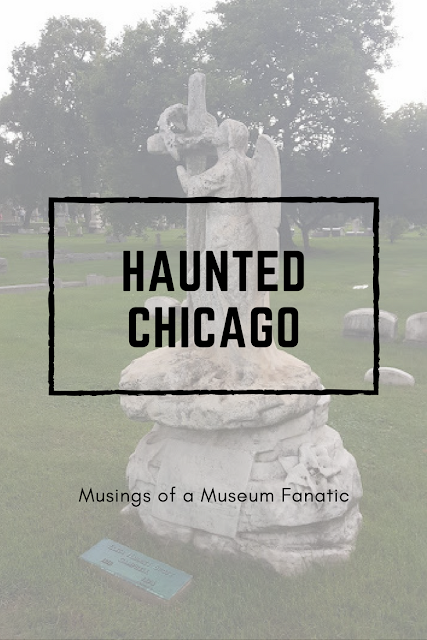 So even with that in mind you can't have it be the day before Halloween and not talk about all the haunted places in Chicago. Let's be honest when you're as large and have been around as long as Chicago you have some skeletons in that closet. 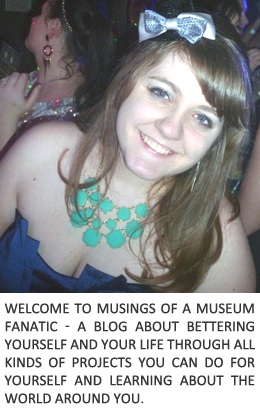 For some haunted Chicago museums check out my post from a few years ago. The Chicago area has hundreds of cemeteries, so many that a few have to have some ghosts hanging around right? Located in the far south suburb Bachelor's Grove is considered one of the most haunted cemeteries in the entire country! There are floating orbs, phantom sounds and apparitions of all kinds. One of the most famous of these is the photograph of the woman in white sitting on the grave stone. The person taking the photo is adamant that she wasn't there when they took it! Resurrection Cemetery is home to Chicago's most well known ghost, Resurrection Mary. Supposedly some time in the 1930s Mary was hit and killed by a car on her way home from the O’Henry Ballroom, now Willowbrook Ballroom. Since then there have been Mary sightings of a beautiful blonde girl in a long white dress. Check out the link above for all of the stories, there are too many to even start sharing in this post. While there isn't a ton going on at Woodlawn Cemetery there is one special area, Showmen's Rest. This small, almost unassuming well it would be if it wasn't flanked by 5 elephants, plot is home to the final resting places of the Showmen's League of America. Unfortunately the first residents did not join under the best of circumstances. In 1918 just outside of Hammond, IN the Hagenbeck-Wallace Circus train had stopped on the tracks. Unfortunately for them an oncoming train's conductor was asleep at the wheel. The oncoming train plowed through the circus train and killed dozens of people. Some say that the ghosts of elephants can be heard ... although with Brookfield Zoo only being a stones throw away maybe you should stop by and let me know if you think it's the ghosts of elephants past. Cemeteries aren't the only ones with reputations here in the Chicago area. We've got our share of haunted hotels , woods and other types of places! Since opening in 1893 people have been seeing strange things in the Congress Hotel. There are locked off rooms and rooms that people can't even manage to spend the entire night in! Sometimes people have reported seeing Al Capone's ghost frequenting the halls, maybe the poor man is just trying to finish up some business who knows. The old Harpo Studios was used as a morgue after the Eastland Disaster in 1903 because there were so many people who perished the city morgues couldn't handle all of the bodies. People have claimed since then to hear all sorts of crazy things like children laughing, people screaming and other such paranormal activity. My question is do the ghosts stay on if the building is gone? Harpo was demolished in 2016 to make was for the new McDonalds headquarters. Only time will tell on that one I think! This one is especially fun since Kevin and I have looked at apartments close by these woods! Supposedly the actual land is cursed and people have said there might even be burial grounds deep in the woods. Throughout the years lots of strange happenings have been reported, not just strange sightings but sounds and smells too. While the garage where the massacre took place is no more there is still a grassy area where it once stood. Not the most haunted spot but for a long time people have said their their pooches refuse to venture to a certain part of the lot, where the bodies are assumed to have fallen. The reports of this have become less and less over the years so maybe those spirits have finally gotten some rest! While these are just a couple of the cemeteries and other haunted spots around the Chicago area there are probably hundreds more! Have you ever been to any of these haunted Chicago spots? !